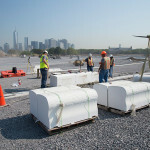 When Dutch landscape architecture firm West 8 envisioned a new terrain for Governors Island in New York’s East River, part of the plan included a section dubbed The Hills. The recently completed curving expanse of green space is defined by nearly one dozen curved sections, or “petals,” of seamless, white concrete bench and curb edges fabricated by Buffalo, New York-based Southside Precast Products. 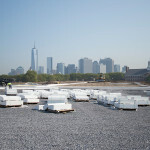 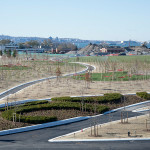 Ellen Cavanagh, Director of Park Design and Construction for the Governors Island Trust, said that the concrete pathways along the petals help define areas where the ground was formed to rise and recede. 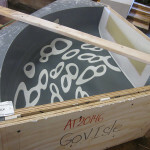 “They call it eyeliner,” she told AN in a recent interview. 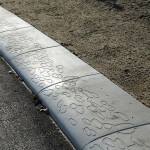 “Thick and bold white stripes give your eye an anchor so you have a better sense of depth as opposed to one solid color.” At approximately 24 inches in width, the curbs along Governor’s Island are decidedly more massive than standard street curbs. 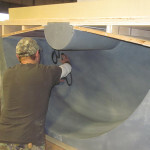 From Southside’s 37,000-square-foot facility, 4,250 curb and bench units were fabricated using a combination of custom molds. 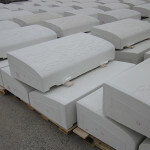 To expedite production and cut costs, a standard set of shapes was defined in AutoCAD and formed from rubber molds, but none were of standard, square dimensions. 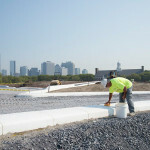 “Everything has a radius edge, from seats to curbs to the grass level,” explained Southside President Paul Rossi. 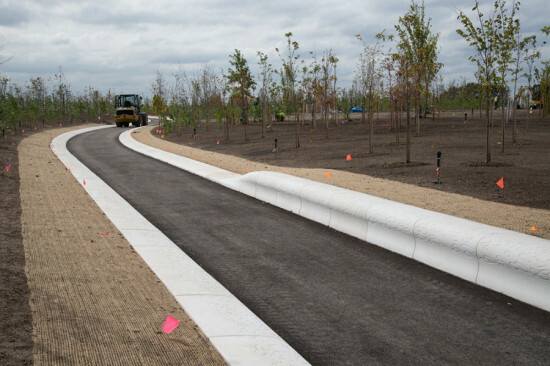 The team worked with rubber and foam molds to achieve the desired, smooth texture on 3.2 miles of concrete at an affordable price. 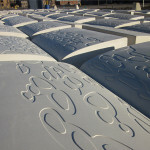 In addition to unique profiles and varying heights, West 8 designed an organic, circular low bas-relief “fish eye” pattern for every section of the curb. 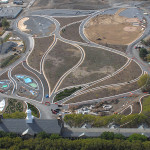 “The architects were very particular about the density of the pattern,” said Rossi. 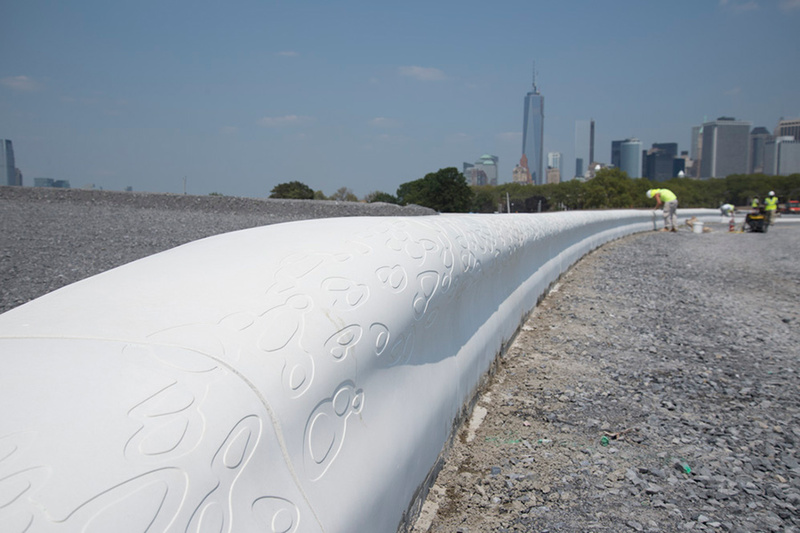 To ensure the patterning met the designers’ expectations, each coating was hand applied by Southside’s team of fabricators, but was modularized for 12-foot repetitions along 140 flexible, rubber molds. 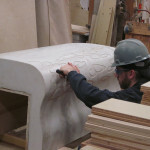 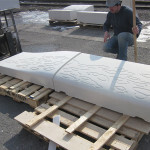 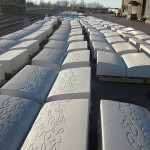 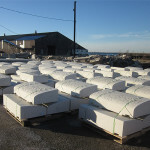 For corner sections and curb pieces with receding angles, hundreds of custom molds were cast to ensure the surface of each piece remained perfectly smooth and the patterning unblemished. 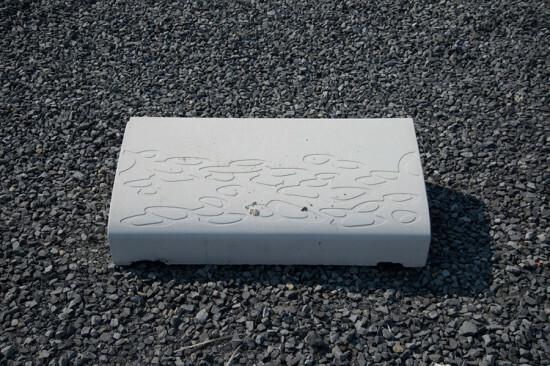 To withstand weathering, Southside follows production guidelines established by the Architectural Precast Association (APA) for air entrainment, consolidation, and consistency of binder to aggregate. 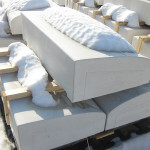 Beyond APA standards, the fabricators took advantage of the Buffalo climate and put each piece through freeze-thaw testing. Southside also applied a proprietary coating—a secret blend of epoxy and a marine-grade coating for fiberglass—to withstand salt from de-icing treatments and the river’s brackish water. 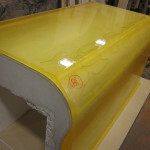 The treatment, however, will not discourage development of a patina that will enhance the fish eye pattern.